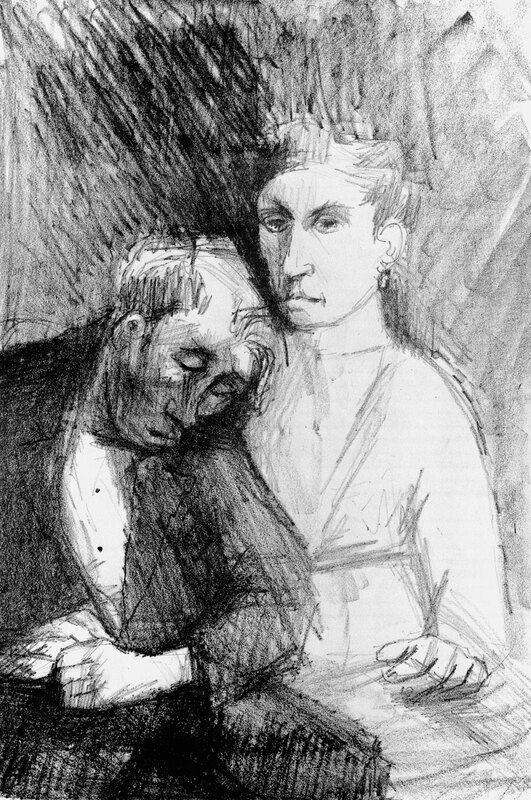 description A lithographic, half-length portrait of a couple in an interior: the man, dressed in a suit, is seated, with his eyes closed, resting his head wearily upon the woman's shoulder. The woman stands upright at his side with her hand upon upon the table in front of her, a serious expression on her face. 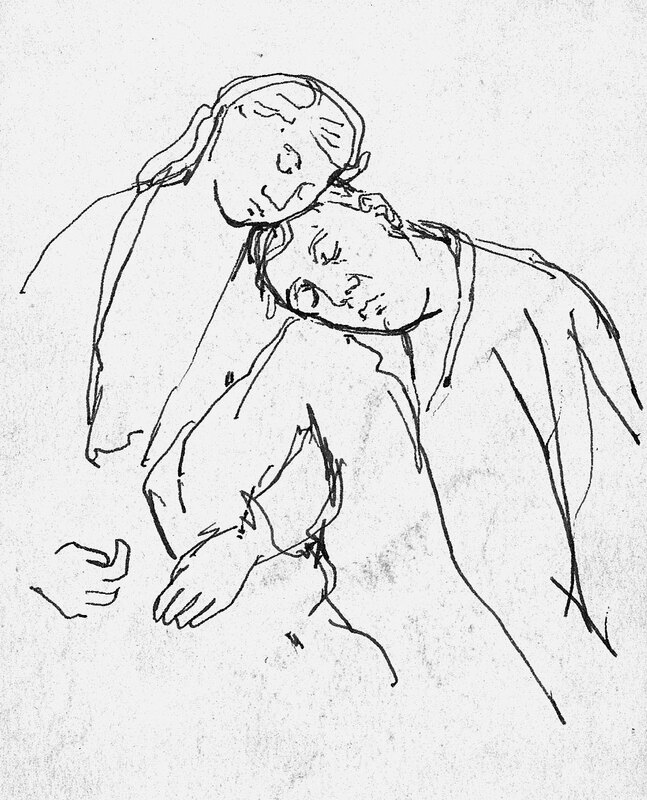 The composition may relate to a pen-and-ink drawing of the same title, in which the positions of the figures are reversed (with the woman on the left and the man on the right), their arms interlinked and their heads touching. 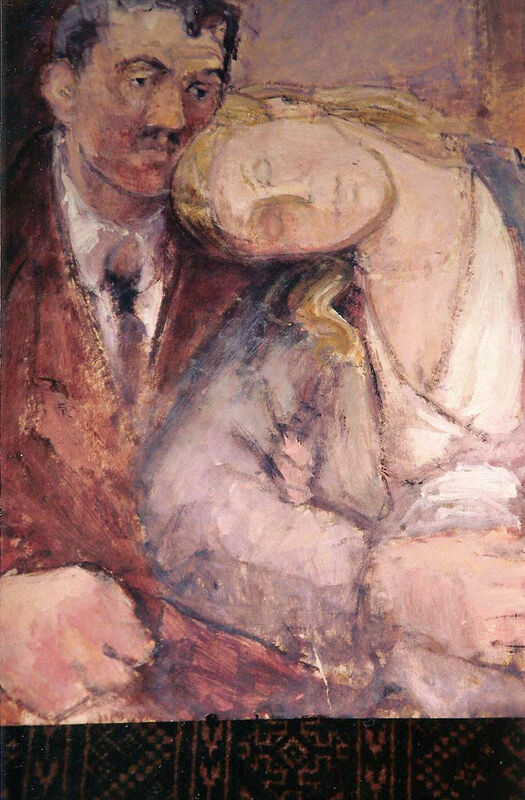 In a further oil, the actions of the figures are also reversed and the woman sleeps, resting her head upon the man's shoulder. exhibition history 'Kunst im Exil in Grossbritannien 1933-45', Neue Gesellschaft fur Bildende Kunst, Berlin, 1986, (113) 'Armes Paar' ('East End Couple') (Lithograph); 'Eva Frankfurther 1930-1959: Memorial Exhibition', Boundary Gallery, London, 15 June-18 July 2001, (89), £200. literature ed., B. Planskoy, 'Eva Frankfurther 1930-1959: Paintings, lithographs and drawings' (London: Peter Halban, 2001), illus., p. 40.